Sudhi Valmeekam malayalalam movie first preview, look posters, story and stills are given here. Directed by Ranjith Shankar, this movie will have Prithviraj in lead. After completing the works of Jeethu Joseph's Memories and Anil C Menon's London Bridge, Prithviraj will join the set of 'Sudhi Valmeekam'. It tells the tale of a man whose life is filled with Love, friendship, struggles and happiness. Filmmaker Ranjith Shankar is gearing up to give life to his new project which tells the tale of a stage artist 'Sudhi'. Titled 'Sudhi Valmeekam', the movie will feature Prithviraj in lead. With Jeethu Joseph's Memories and Anil C Menon's London Bridge in line, Prithviraj will join the set of 'Sudhi Valmeekam' after a short period. It tells the tale of a man whose life is filled with Love, friendship, struggles and happiness. 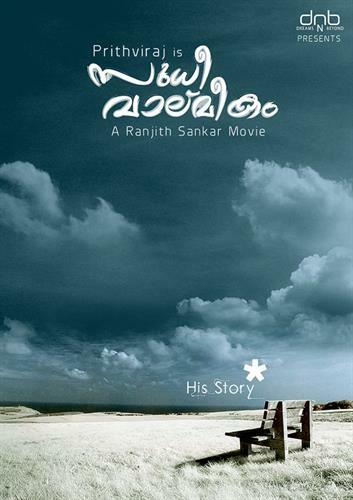 Zooming into the story of the movie 'Sudhi Valmeekam', it is journey of a special man 'Sudhi' whose tharavad name is Valmeekam, hence called ‘Sudhi Valmeekam. The film will be shot in various locations at Bengalaru, Kottayam and Thodupuzha. There will be two heroines while the other male lead played by a well-known male actor. Ranjith is expected to announce the complete cast and crew details very soon. He has also announced another project titled 'Mayflower' with new faces in lead. The young director who is known for the prime factor for changing the face of malayalam cinema made his presence on silver screen with 'Passenger'. Starting his love for writing, Shankar was associated with Nizhalkal and American Dreams, television series. Passenger which was released in 2009 was the stepping stone for new waves movies which gave rays of hope to budding filmmakers. He later directed Arjunan Saakshi and Molly Aunty Rocks which received positive responses from theatres. Dreams N Beyond, Shankar's own production house made its presence felt with Molly Aunty Rocks. Prithviraj is traveling through the best period of his career which a handful of thrilling projects in kitty. The most delightful venture would be Farah Khan's Happy New Year which stars Sharukh Khan and Abhishek Bachchan. Prithviraj is reported to don a prominent role which would mark his 3rd movie in bollywood.